Beans, also known as legumes, are not a fruit, but they do pack a powerful punch of protein, carbohydrate and fiber! 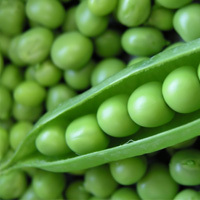 They are also naturally cholesterol and fat-free making them an excellent heart healthy protein source. 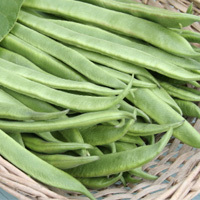 Beans also contain potassium, iron, folate, manganese and B vitamins. You probably have a favorite type of bean — black or red beans for example — but did you know that there are actually three different categories of beans? So whether you prefer garbanzo beans blended into a creamy hummus dip, edamame on a sushi dinner date or black bean soup on a cold winter night, all beans are good! Research has shown that eating beans regularly can reduce cholesterol levels and reduce the risk of breast cancer is postmenopausal women. Regular bean eaters also tend to weigh less than those who do not eat them, helping reduce the risk of obesity. 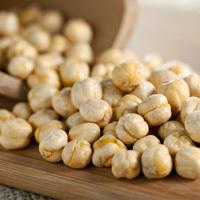 As with all high-fiber foods, a common result of eating beans is gas. Gas is often a result of poor digestion or because the body is not use to the increase in fiber. A common reason people avoid beans is because eating beans can cause flatulence. The good news is you don’t have to stop eating beans. Instead, follow some of these quick tips to reduce gas. Eat slowly and chew your food thoroughly. This improves digestion and can help reduce gas. Give your body time to adjust to the increase of fiber in your diet. Reduce your bean intake, then slowly increase it as your body adjusts. Soak beans before cooking, which reduces the indigestible sugars that can cause gas. For convenience: Beans can be bought by the can; the best option is to choose sodium-free beans. With a little more time: Buying beans dry, soaking them and then cooking them is an affordable and healthy option for those who have time. Sort: Pick out any debris or beans that are broken. Rinse: Rinse the beans under cold water. Soak: Put beans in a large pot with enough water to cover all the beans. Bring the water to a boil for 3 minutes and then cover and let sit for an hour. Then drain and rinse the beans again before cooking. Cook: Put beans in a large pot. Add enough water to cover the beans by a few inches. Bring to a boil and spoon any of the foam the appears, then reduce to a simmer and let cook for 1 to 2 hours. Beans are ready when they are soft to touch with a fork. In a small food processor, blend all ingredients. Let the dip chill in the fridge before serving. 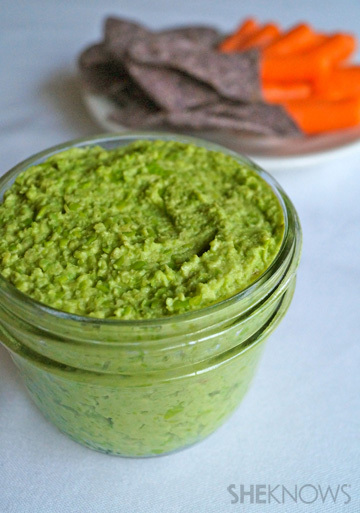 Enjoy with fresh-cut veggies, blue corn chips or whole-wheat crackers. 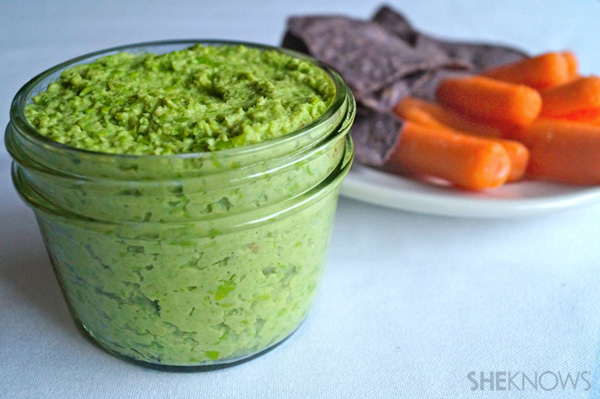 Salad dressing is a great way to add herbs, spices and oil to a bean dip recipe. You can use healthy dressings you have on hand and experiment with what you like. I often add a little extra oil and water for a creamy consistency without an overpowering herb flavor.